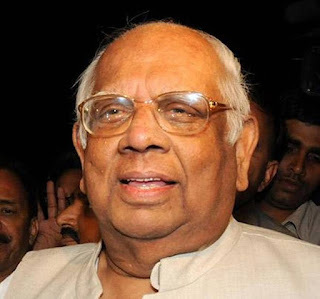 Former Lok Sabha Speaker Somnath Chatterjee passed away on Monday morning at a Kolkata hospital. He was 89. He is survived by his wife, son and daughter. “Somnath Chatterjee passed away today morning at around 8 am due to kidney related ailments and old age complications," Suranjan Ghosh, General Manager (Operations) of Belle Vue Clinic said. Mr. Chatterjee has been on ventilator support for the last five days after he was admitted to a private hospital in Kolkata on Tuesday due to kidney related complications. He had suffered a heart attack on Sunday. He suffered a hemorrhagic stroke in June and was hospitalised for more than a month. Mr. Chatterjee was the Speaker in the first five-year term (2004-2009) of the United Progressive Alliance government and was elected to the Parliament's Lower House ten times since 1971. He was expelled from the Communist Party of India-Marxist (CPI-M) in July 2008 for refusing to resign as Speaker after CPI-M withdrew support from the United Progressive Alliance (UPA) government.